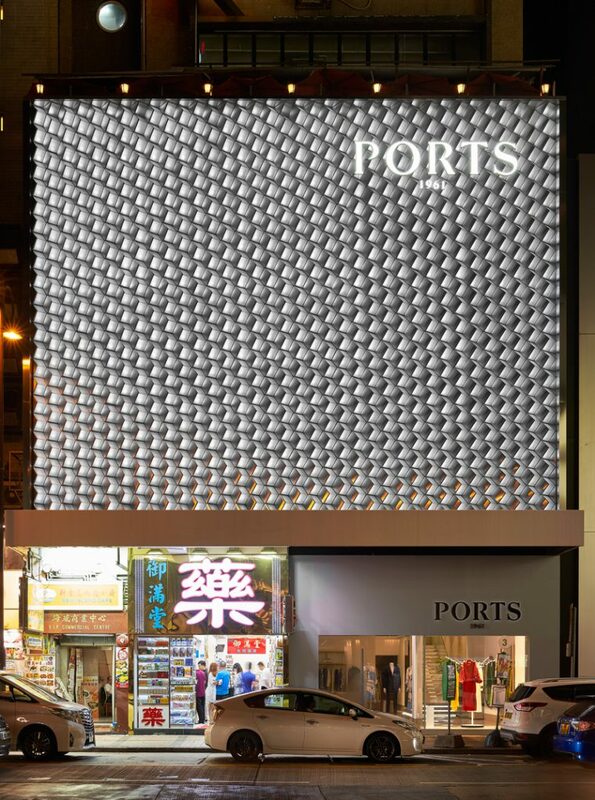 Ports 1961 Hong Kong faces the high-end commercial street of Canton Road in Kowloon district and is the second store in Asia following the concept of flagship store Ports 1961 Shanghai. Similarly, reflecting the identity of migrating iceberg, the store’s exterior adopts a modular system and brand identity that can be exported to other destination. The exterior uses a technique of custom design L-shape glass blocks creating a modular tilted cube structure. Two faces of the cube unit are satin finish glass block, with a third face being a sandblasted stainless steel panel. 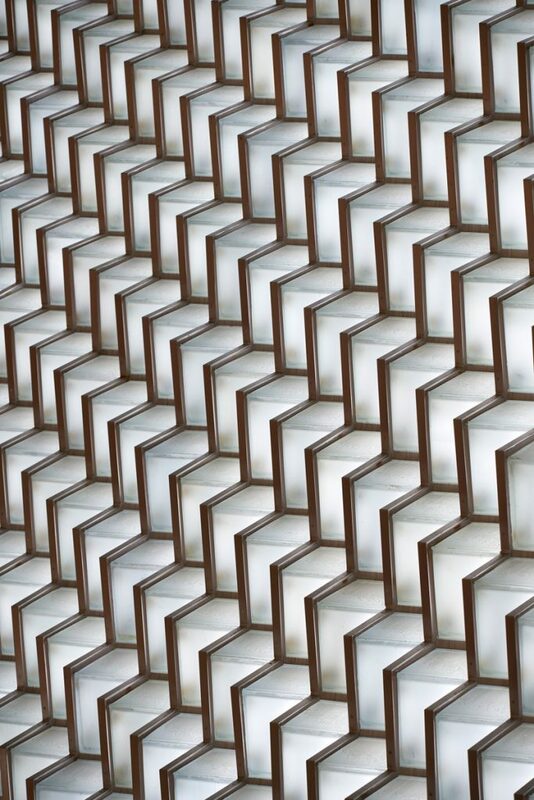 Forming a zigzag pattern and an angled projection that creates irregularities in the reflection. 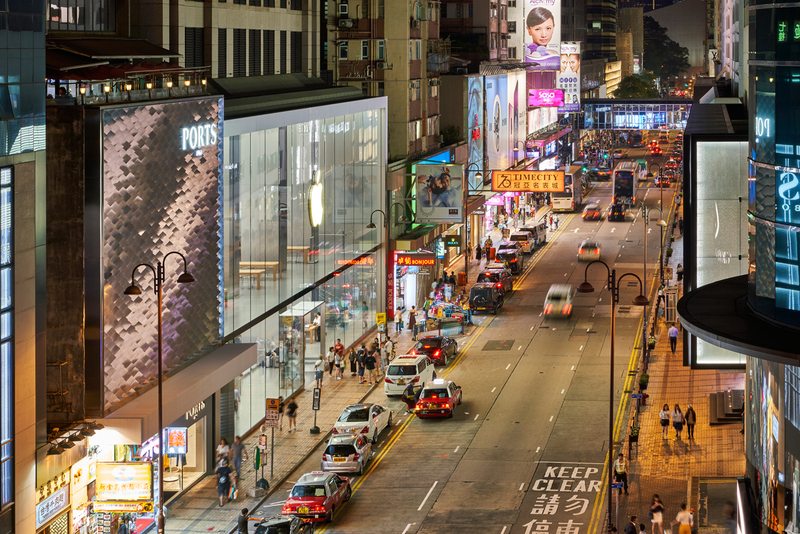 It scatters the light and colour depicting the chaos of the typical Hong Kong landscape. 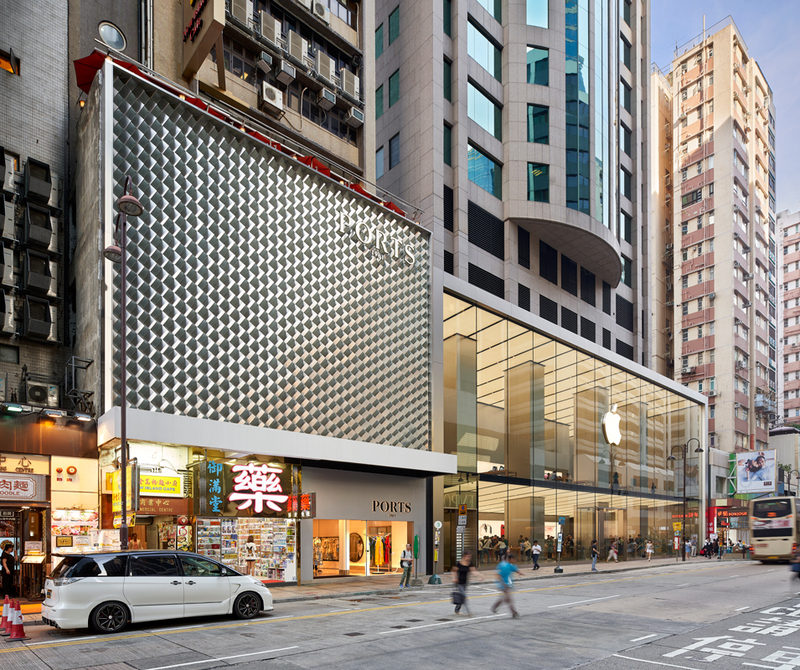 The facade evokes both a tranquil but also intense squall of Hong Kong through its different perspective faces. Under the existing canopy, the entrance and showcase at grade are minimally designed in contrast with the busy street. 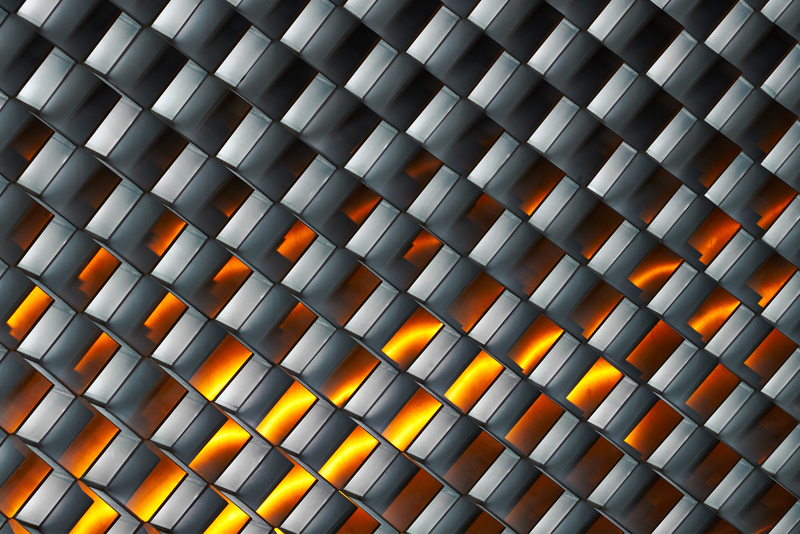 The facade appears simplistic but transforms depending on the viewer’s angle and time of day. 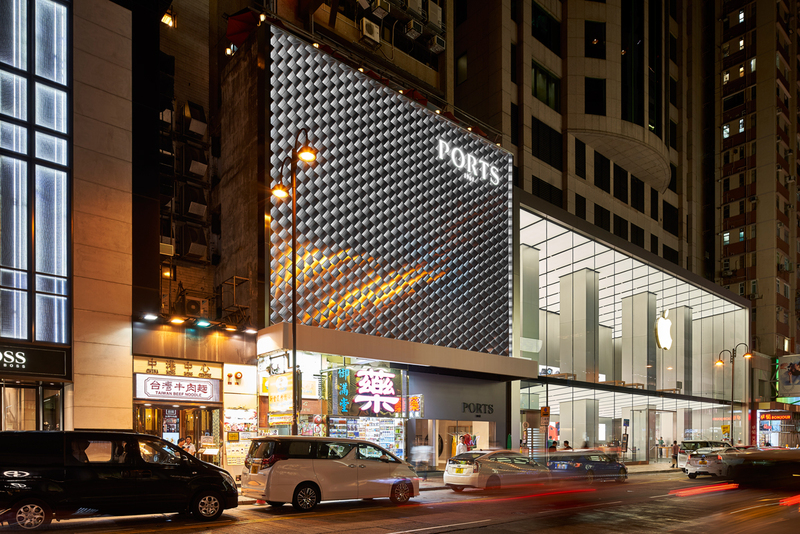 The luminous facade made by the innovative use of standard materials forms an introspective identity of the fashion brand while responding to its surrounding, the flow of traffic and pedestrian. 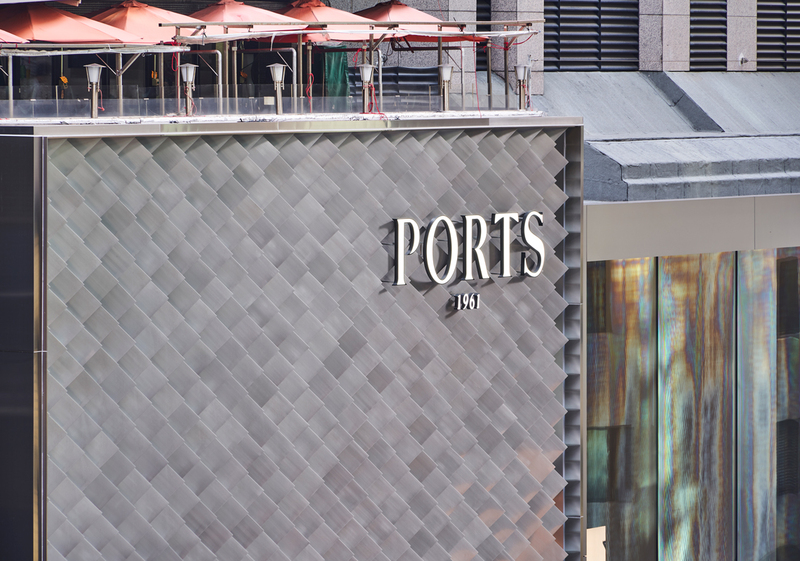 Set in the dynamic city of Hong Kong, the Ports 1961 Hong Kong appears like a mirage of an iceberg in the chaos.